Letters with Magnet Inserts are Ready to Mail! Keep your message where it’s needed…right in front of the customer! Letters with magnet inserts have proven to be an exceptional value with top effectiveness because so few people throw magnets away. This mailer creates a constant new customer lead generation source. 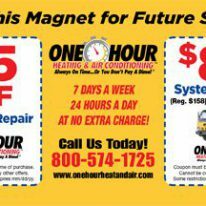 A magnet is an item that will be in place where your potential customer will be able to find it at the precise moment when they need your products and services. 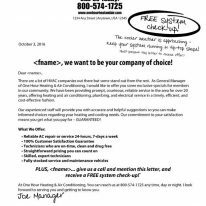 The sample package below illustrates how you can give your marketing piece the competitive edge it needs by including a letter with magnet insert to your next direct mail campaign! Call 1-800-826-2869 today to get started and ask how you can get great rates all year long! Want Email News & Offers? Headquartered in Largo, FL, with a remote facility in Central Minnesota, PrimeNet provides direct mail services to all of Florida & Minnesota PLUS Full service direct mail NATIONWIDE. Make PrimeNet YOUR top quality commercial printer and direct mail provider. PrimeNet has over 50 years of experience creating highly effective direct mail campaigns for businesses all over the United States. 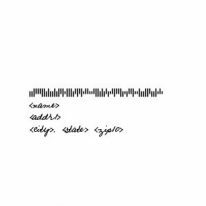 Our mailing list expertise will ensure your bulk mail is targeting only the most qualified prospects. When it comes to direct mail marketing with proven returns, make PrimeNet the first choice for your direct mail and for your business! | PrimeNet is a G7 Master Qualified Printer.